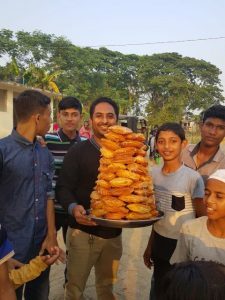 It was wonderful to be back in Bhola and see all the happy smiling faces. 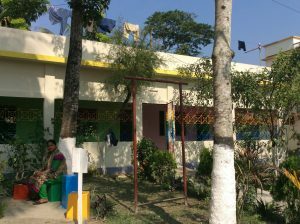 The repair to the old school house has given a great boost to the general morale of the staff and the children. The roof had to be repaired as it had become dangerous, but a very generous donation from the kind parishioners of Our Lady of Grace church in Chiswick enabled us to do the necessary work. 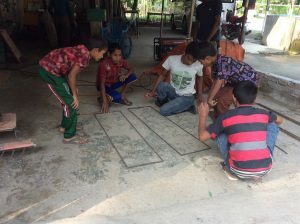 Zakir managed to stretch the money to include redecorating the internal and external of the building. Now all the rooms can be used again and there is space for the children to have proper classes. 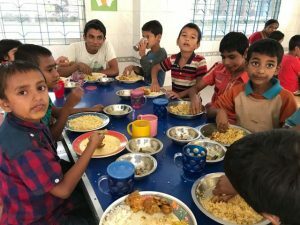 We now have over seventy children in the home with many new little boys and girls. We have a special playtime in the afternoon when everyone must participate. There is always a serious game of cricket going on for the big boys and the little boys also have their game of cricket. The girls have fun too playing badminton or rounders. My sister Anne joined me this year on my annual visit and she was a wonderful asset. 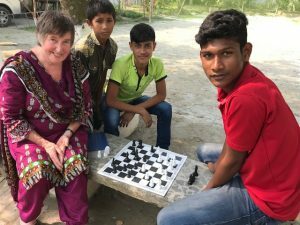 She loved the children and was caught up in the laughter and fun that predominate at Bhola’s Children. The children may not have good health and wealth but they give an abundance of joy to anyone who visits. She became quite the expert on sign language and brushed up on her chess skills. The physiotherapy department has gone from strength to strength and I am very impressed and pleased with the way the department now operates as it is like a proper physiotherapy treatment center. 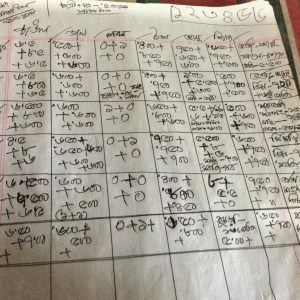 Dilruba (a physiotherapist from the local hospital) started the process by training our staff and introducing a systematic way of working and record keeping. 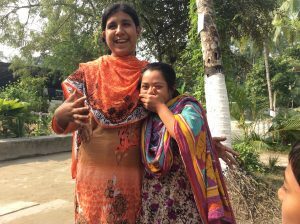 Each of the children has a treatment plan written by a qualified physiotherapist and the daily care is performed by our girls, Supia, Rozina and Salina (two of whom are blind). 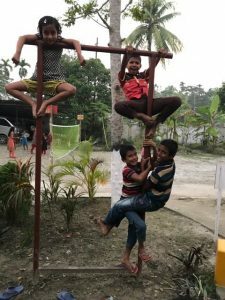 We now have a new physiotherapist, Syed who is continuing the good work with our children. 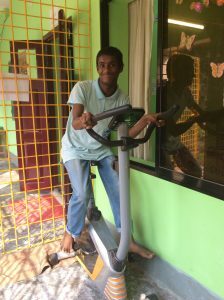 During the renovations, Zakir created a new physio department which is working very well and provides a secure place for our new equipment. I would like to thank The Funding Network for their kind donation which has made all this possible. 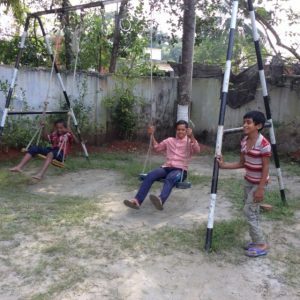 It was wonderful to see the improvement, especially in two of the children. 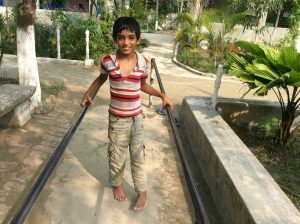 Hakim who had difficulty in speaking is now able to say some words relatively clearly and Fahim is walking much better and will continue to improve when he gets his special walking shoes. 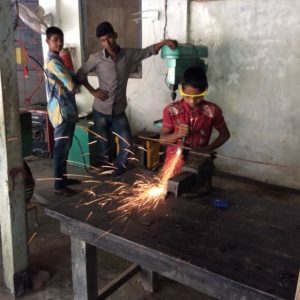 The boys receive training in carpentry and metal work. 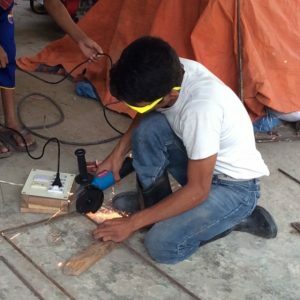 When we were visiting, they were making shoe racks for the dormitories. There is a great emphasis on safety and the children wear safety googles and protective rubber boots. This year there was a new venture of raising chickens. 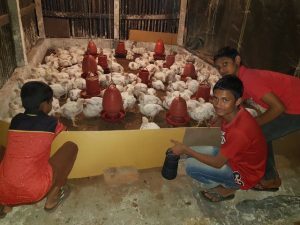 Zakir bought baby chickens which we raised. The children enjoyed partaking in the care and it was good training for the older boys. Two thirds were sold in the market and the rest will provide nutritious food for the children during the year. 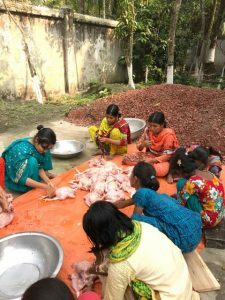 With so many mouths to feed, food preparation is an important task at the Boundary. The girls help in the many tasks. 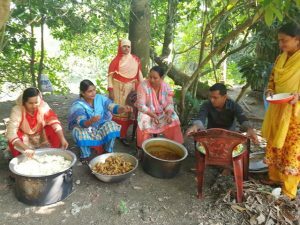 I was very impressed with the organisation of the food provisions and the record keeping of the meals and food used. 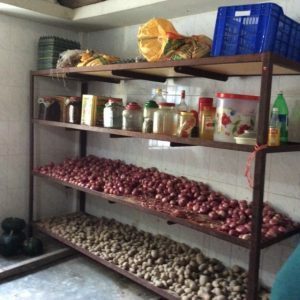 Each item is documented and the cost of the nutritious meal is recorded. We had a super time out with the children at Valumia. It started on the Thursday afternoon with the boys bringing the equipment and food to the picnic spot. We went later with the girls and we all had a great time dancing and having fun! The neighbours must have not known what hit them! The boys came home and the girls slept there overnight to prepare the food for the next day. On Friday, the children left early and we followed later. 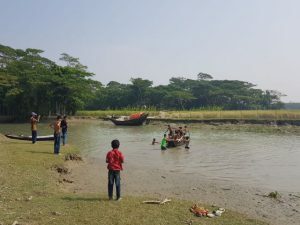 The morning was spent dancing, swimming and eating and in the afternoon, we went to the bridge where there was open space for cricket, badminton and games. It was a thoroughly good day and super to see the children have freedom and space to have fun.